The 46th Session of the Council of Foreign Minister (CFM) was held on 1-2 March 2019 in Abu-Dhabi, United Arab Emirates. 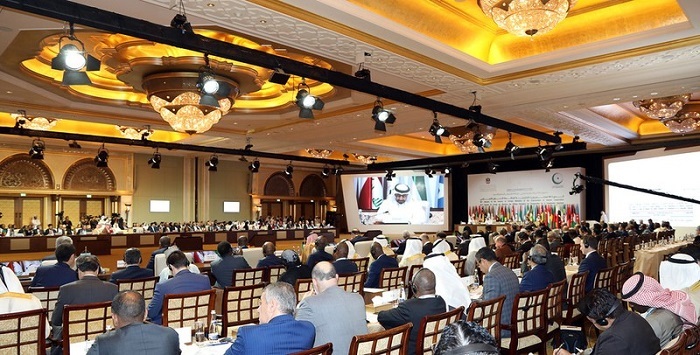 Ministers and the high-level officials from the member and observer states of the OIC, as well as OIC institutions, attended the Session to implement the OIC's general policy by adopting decisions and resolutions on matters of common interests. Assistant Secretaries General of the Organization of Islamic Cooperation (OIC) took their oath of office during the session. The 46th Session of CFM also reviewed the progress of the implementation of the decisions and resolutions adopted at the previous Summits and Councils of Foreign Ministers. At the conclusion of the OIC’s 46th session of the Council of Foreign Minister, the delegates issued the Abu Dhabi Declaration. Among others, they condemned the Israeli violations against Palestinians. The Declaration reaffirms the OIC’s position to strive in order to reach a comprehensive and permanent solution and to establish an independent Palestinian State according to the borders of June 4, 1967, with East Jerusalem as its capital, in accordance with the decisions of international legitimacy and the Arab Peace Initiative. Ministers agreed to set up an endowment fund to guarantee future finance for the aid activities of the UN Relief and Works Agency for Palestine Refugees in the Near East (UNRWA).